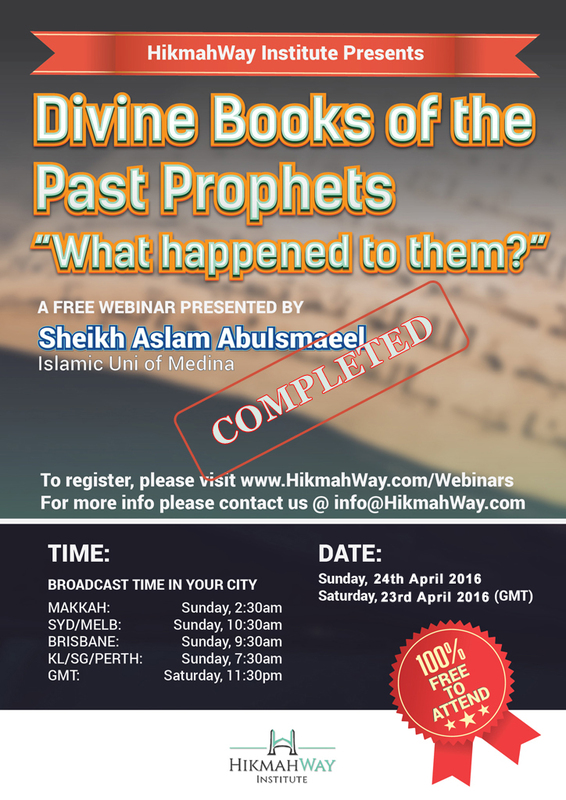 [ENDED] - Divine Books of the Past Prophet, What happened to Them? The Torah and Injil (Bible) are among divine scriptures revealed to our Prophets. What happened to them? Are their laws applicable to us now? Why did Allah not protect and preserve them? With his broad exposure experience in community work and Knowledge in religion, Sheikh Aslam AbuIsmaeel will be presenting is much needed webinar.